Falmouth Holiday Homes offer a select portfolio of hand picked properties in the village, all within walking distance of the village shop, 2 pubs and stunning seafood restaurant. Whether you are looking for large houses with water views for lazy summer holidays, a cosy retreat with wood burning stove for a winter break or a base in which to explore all of Cornwall we offer luxurious holiday homes to suit all your needs. All of our houses are furnished to the very highest standards, and offer clean and comfortable accommodation. All come with luxurious bedding and towels, WiFi is included in all properties and some are also dog-friendly. 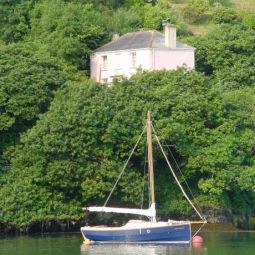 Alternatively spend lazy days in Flushing or Falmouth with its glorious beaches, used by many in the area because of its safe waters for children, enjoy local seafood from the delightful pubs and seafood restaurants or take a beautiful coastal walk around to nearby Mylor with its bustling marina, restaurants and cafe, also the perfect spot to entertain the kids with some crabbing! Our website has detailed descriptions and images of all our properties along with more information on the local area. Up to date availability and a live chat function to answer all your questions. Visit us today and book your perfect Cornish holiday!